A work of investigative history that will completely change the way in which we see the Romanov story. Finally, here is the truth about the secret plans to rescue Russia's last imperial family. On 17 July 1918, the whole of the Russian Imperial Family was murdered. There were no miraculous escapes. The former Tsar Nicholas, his wife Alexandra, and their children – Olga, Tatiana, Maria, Anastasia and Alexey – were all tragically gunned down in a blaze of bullets. Historian Helen Rappaport sets out to uncover why the Romanovs' European royal relatives and the Allied governments failed to save them. It was not, ever, a simple case of one British King's loss of nerve. In this race against time, many other nations and individuals were facing political and personal challenges of the highest order. 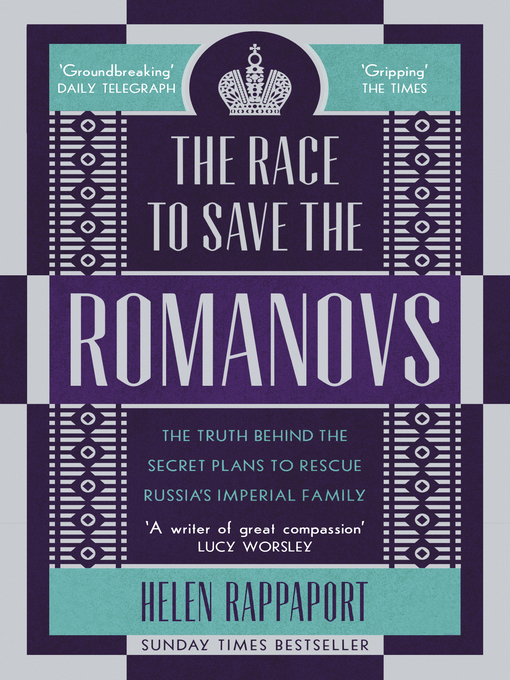 A remarkable new work of history from Helen Rappaport, author of Ekaterinburg: The Last Days of the Romanovs.